There have been a lot of concerns from consumer advocates about banks not being able to clearly explain the procedure for charging overdraft fees to their customers. Because there is quite a bit of confusion, customers are often unaware of the charged fees and unsure of how to tackle or avoid them. However, the Consumer Financial Protection Bureau has taken measures to redesign the forms used by banks which explain the fee procedures. The new guidelines are still in the testing phase for the moment and it will still take a considerable amount of time to make it official. An overdraft happens when there isn’t enough money in your bank account to cover a purchase or bill. However, the bank takes it upon itself to pay it and then charges you a certain overdraft fee which is usually $34 per payment and can increase with the amount they had to pay. This fee has to be paid to the bank in addition to the amount they paid for the original bill. In the past, these fees were mostly related to checks but, with changing consumer spending patterns and needs, they are now more frequently charged on debit cards as well. 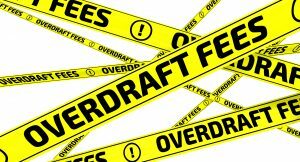 In case you have been careless and spent more than you should have, you must get ready for being charged substantial overdraft fees. For a long time, there have not been any kind of regulations on banks to charge these fees and some of them have even been heavily fined for deceptive marketing practices that fortified customers to register for overdraft services. However, bankers associations and the Protection Bureau have been closely working together to minimize the burden on consumers and bring the fees under regulation. Now, banks are required to ask for permission from their customers before they pay for the shortfall. Instances related to spending too much or withdrawing more money than they have in the account can be avoided just by rejecting the requested transaction. For charging overdraft fees on checks and online payments, banks do not need the consent of the customer, therefore, making it a notable concern for many people. Apart from all of the inconvenience caused by these fees, some customers feel that this is expedient, in case they miss a sporadic payment. However, most working class families view these fees as an unnecessary burden on them as the ones paying the maximum amount of overdraft fees are only a small percentage. There have been concerns regarding the authenticity of overdrafts affecting the general population but it has been reaffirmed that the figures are derived from 40 million bank accounts, which is quite a large number. It has been observed that many banks market these overdrafts as “protection”, which is more of a favorable term. It is advised that customers really think before giving their consent for using these services, as they may not be fully aware of its consequences. Also, if you don’t want to opt for extra services, there are no mentioned benefits in the current form. Only the cost of these fees is something that can be relied on as they are mentioned exactly as they are charged. Signing up for alerts on your bank account is one of the best ways to know if your account balance is altered. You can also link multiple accounts together which will force your bank to charge from other bank accounts and the fees can be avoided. This still may cost you a little but it will be significantly less than what you would have paid otherwise. For debit purchases, you always have an option to opt out. At any moment that you feel that overdraft services are no longer required, all you need to do is request that the bank cancel them. Avoiding overdraft fees can turn out be one of the most vital financial decisions you can make because it could end up costing you way more than you ever expected.